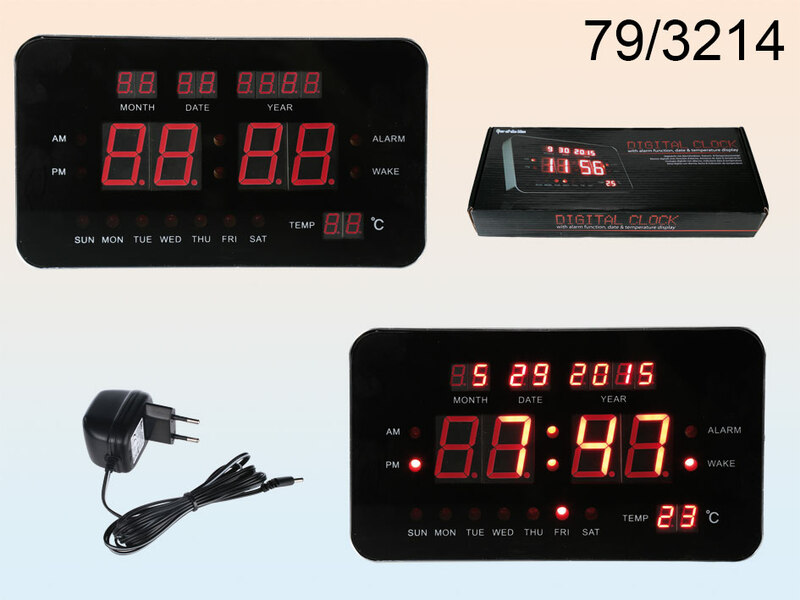 Plastic digital clock with alarm function, date and temperature displays. Size: 24 x 14 cm. With power adapter. Simple, modern design. Useful home and office item.